Mary Shelley's first published work is a version of her journal of the brief, uncomfortable foray through devastated France made by Shelley, Mary and Claire Clairmont in 1814. 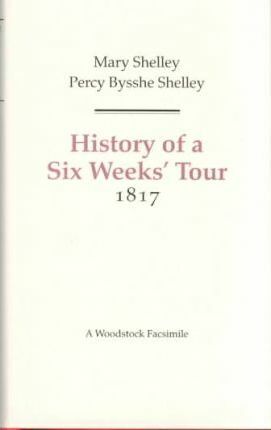 With it are edited versions of 'letters' by Mary after their return and two by Shelley dating from their 1816 summer in Switzerland, during which they met Byron and Frankenstein was conceived. Finally, there is the earliest text of Shelley's Mont Blanc. The sophistication ranges from the descriptiveness of Mary's writing at seventeen to Shelley's sublime experiences in the Alps and the writing of one of his greatest poems. This is a facsimile of the first edition.